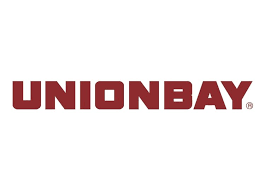 The cutting-edge designs of UNIONBAY appeal to teens who are style leaders, always a step ahead of the latest trends and a step outside the mainstream. High-quality UNIONBAY apparel and accessories, twist classic and contemporary styles with edgy detailing and a sense of fun. With our unique look and laid-back philosophy, we have become one of the leading apparel brands in the world, helping define teen fashion for over 30 years.